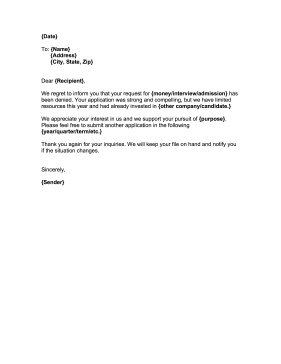 This printable company request rejection refuses to interview or hire a potential employee. Thank you again for your inquiries. We will keep your file on hand and notify you if the situation changes.